You can help with fundraising for Spiral. Whether you have a business or are from a school or other organisation, you can host a donation box. This is a great way to support us at no cost or obligation to you. All donations collected in the boxes go to the transport services we provide. 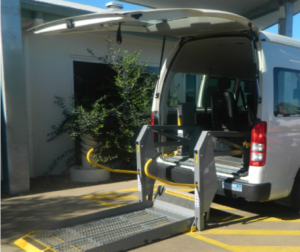 Our transport fleet includes vehicles with hydraulic lifts to ensure passengers are moved smoothly from one destination to another. With transport costs increasing, the donation boxes are more important than ever. Why host a donation box? To host one of these boxes, or if you know a business that may be interested, please contact Spiral.